Danielle Nerman grew up in a secular Jewish household, with two secular Jewish siblings. Then something happened when they became adults. Her siblings got religion, in a major way ... but Danielle didn't. In her documentary, "Peace in the House", she seeks out the true reasons behind their leaps of faiths. The CBC's Danielle Nerman grew up in a secular Jewish home. But now the holidays are high kosher, after two of her siblings embraced the Orthodox faith. Tonight, Jews across the world will celebrate the first night of Passover. The evening starts with a Seder, a ceremonial meal where guests take turns re-telling the story of the Exodus. Passover is a family holiday... but this evening, some Jewish parents will not be spending it with their kids. That may be because mom and dad's house just isn't "JEW-ish" enough.... or up to Kosher code. 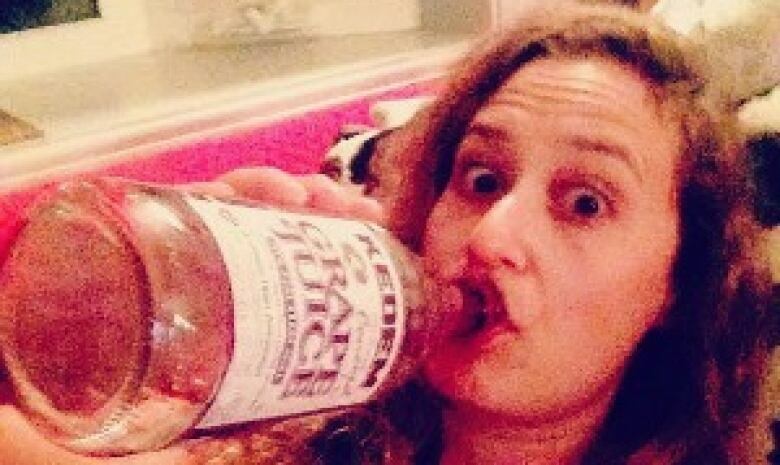 Danielle Nerman drinks some kosher grape juice. 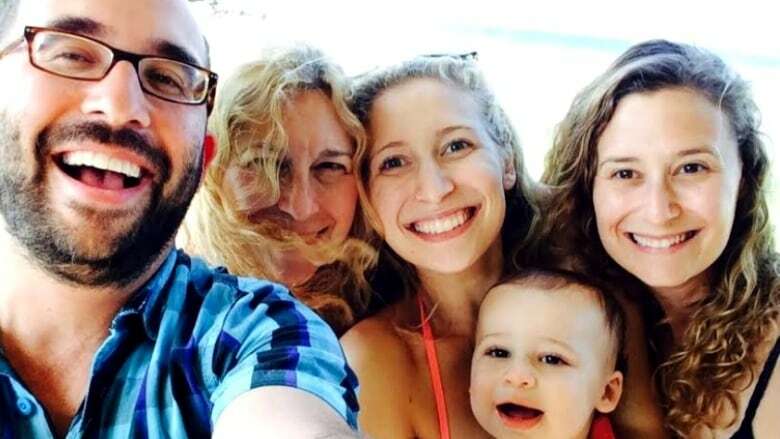 In Canada and around the world, there is a phenomenon where young men and women - - raised by secular Jewish parents — are choosing to live a traditional Jewish life. Trading in their ballcaps for skullcaps...and blue jeans for long skirts. They follow the strict rules of Orthodox Judaism... though their parents do not. It's a situation that Linda and Eric Lerner and Bonnie and Paul Rodak have been dealing with for almost a decade. Both Toronto couples have children who found religion later in life. And they're not alone. So a few years ago, these secular Jewish parents started a support group with a very un-kosher name. It's called PORK - Parents of Religious Kids. The group has about 35 members who meet once a month in Toronto. We did some research and discovered other such support groups in the United States also with the name PORK. But none called "SORK", or "Siblings of Religious Kids." That's the kind of support group CBC producer Danielle Nerman could have used 18 years ago. Danielle Nerman's documentary is called Peace in the House.